To obtain information for a business entity registered in Hawaii, you will need to know the name of the business. You can also narrow down your search further by using the radio button options. On top of that, you can go further by selecting from the drop down the option "Begins With" or "Contains" to widen or narrow the search. You can use the step by step guidelines below to learn how to use the Hawaii business entity search tool. 1. The first step is to access the Hawaii business search page by clicking here. The search page will look like the screenshot shown below. 2. The next step is to test this out. To do this, first enter the business name ,"Pacific Wings" in the required field. Then select "Begins With" as your search option. 3. Click on "Search". 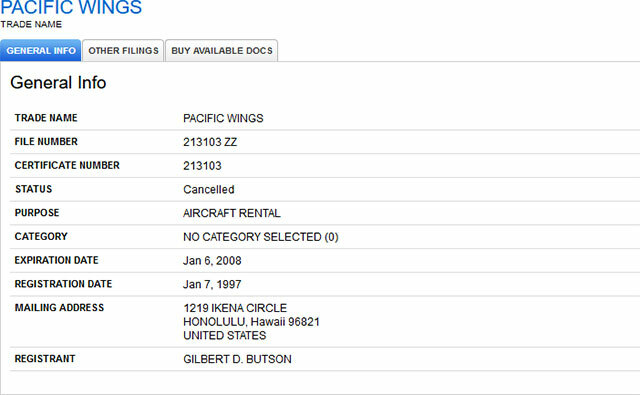 The business entities with the names "Pacific Wings" will appear along with their Record Type, File Number. and Status. 4. In the screenshot above you can narrow down your search even further by applying filters such as Status, Record Type, and Entity Type. By clicking the business name in the search results, you can view the details for that business. (see the screenshot below for reference). To see what documents are available to download for a business, click the "Buy Available Docs" tab. It will show the cost to obtain each document available. 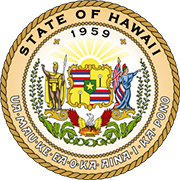 As Hawaii does not have a Secretary of State, the responsibility of registering and recording business entities in the state belongs to the Department of Commerce and Consumer Affairs. More specifically, the Department's Business Registration Division oversees business filings and records in the state. Aside from maintaining the records of business entities in the state, the Business Registration Division of the Department of Commerce and Consumer Affairs also registers and stores information on trade names, trademarks, service marks, and publicity name rights.